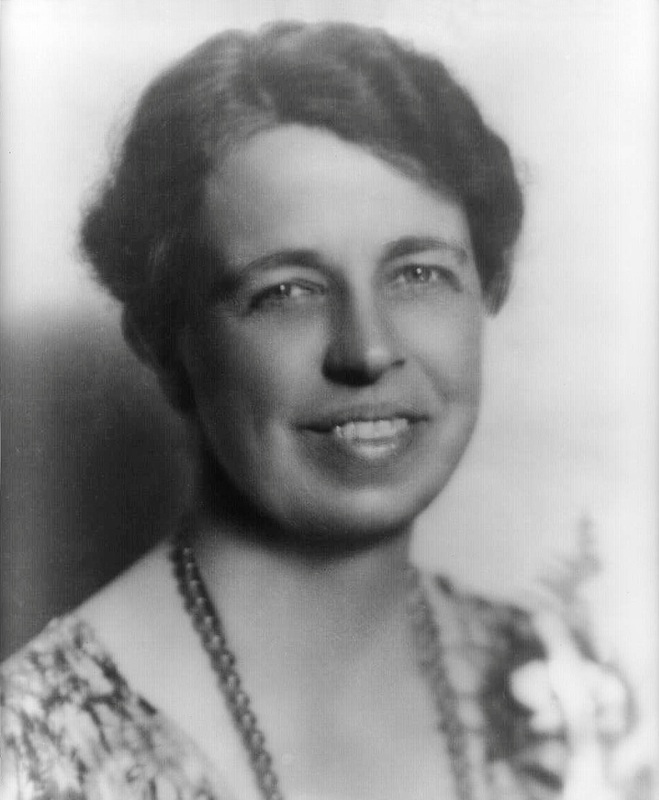 Eleanor Roosevelt was born in New York City on October 11, 1884, daughter of Anna Hall and Elliott Roosevelt, the younger brother of Theodore Roosevelt. Eleanor's parents died at a young age so she went to live with her grandmother, Mrs. Valentine G.Hall,in Tivoli. She started to attend a school at the age of 15 in England which helped boost her confidence and abilities, but before that she was educated by private tutors. In 1903, she and her distant cousin, Franklin Delano Roosevelt, became engaged and in 1905, they were married. Within 11 years she bore 6 children, one of whom died young. By the 1920’s, she was involved in Democratic Party politics and numerous reform organizations. After President Roosevelt’s death, she was delegate to the United Nations and an advocate for a wide range of human rights issues. Her constant work to improve the people’s lives all over the world made her one of the most loved women of her generation. Eleanor Roosevelt died on November 7, 1962 at the age of 78.